With a name like Bacon, Jeremiah was destined to be a chef. A native of Johns Island, SC, he learned to appreciate at an early age the seasonal bounty and eclectic flavors that the Lowcountry has to offer. After graduating from the College of Charleston with a degree in Philosophy, Jeremiah attended the Culinary Institute of America in Hyde Park, N.Y. then moved to New York City where he honed his skills in the kitchens of some of the city’s most legendary restaurants, including River Café, Le Bernardin and Per Se. 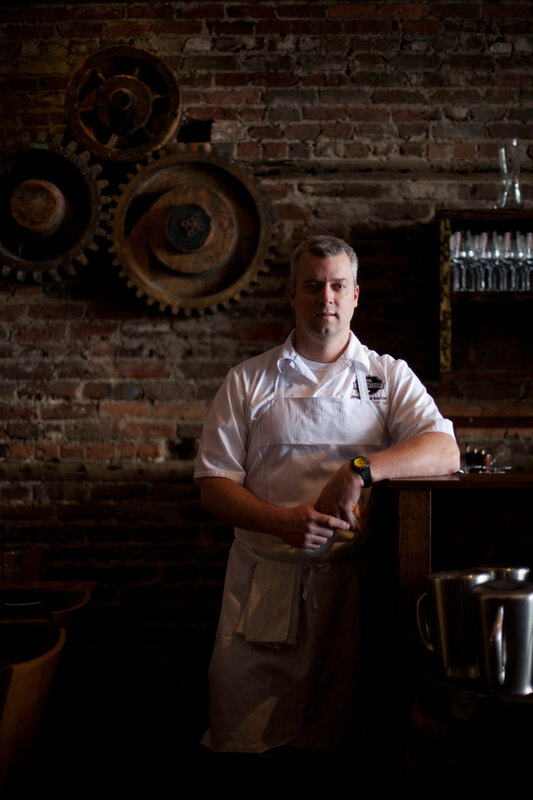 After refining his skills in the Northeast for 10 years, he returned home to the Lowcountry and incorporated a local-first philosophy into his culinary practices, first at Carolina’s and then as executive chef at Oak Steakhouse. As chef partner of the Macintosh, Bacon continues to build upon his relationships with local farmers and purveyors to incorporate their food into his menu. His finely tuned talents and palate are reflected in the restaurant’s menu, which serves technique-driven dishes that are locally sourced and seasonally inspired.